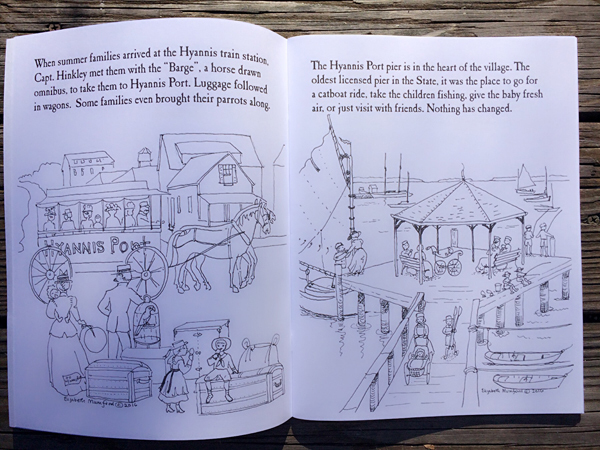 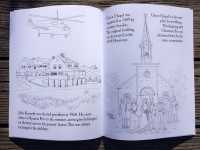 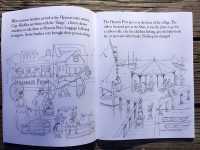 Unleash your inner creativity and learn about the history of Hyannis Port when you color or watercolor in this whimsical coloring book by Cape Cod artist Elizabeth Mumford. 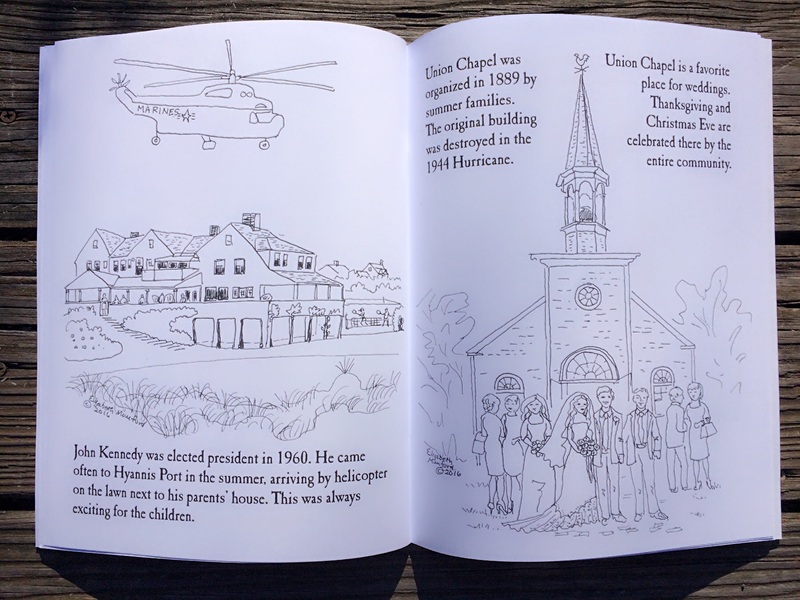 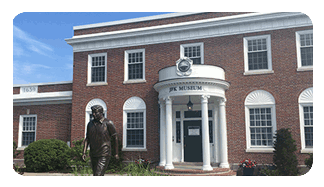 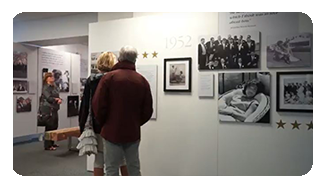 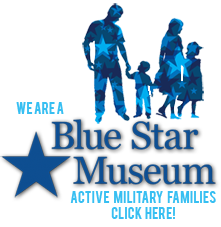 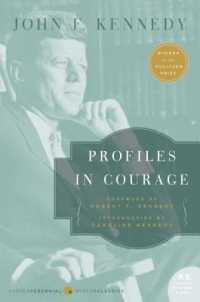 Each page includes history of Hyannis Port – from the Taggart-McKelvey-Wilson House and St. Andrew’s-by-the-Sea to The Hyannis Port Club and President John F. Kennedy’s arrival in Hyannis Port by helicoptor. 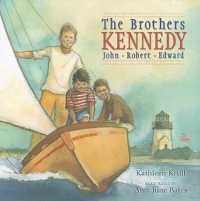 Author and illustrator Elizabeth Mumford grew up in Hyannis Port in the 1950s and 60s. 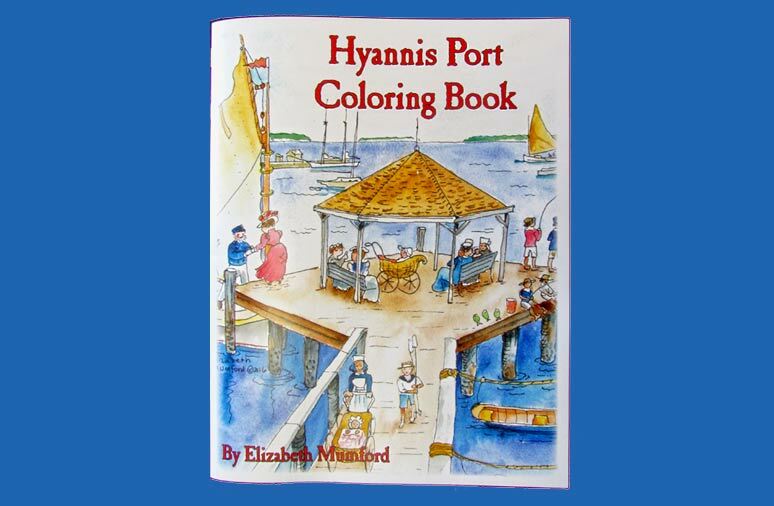 Elizabeth’s artwork reflects her love of Cape Cod and especially Hyannis Port. 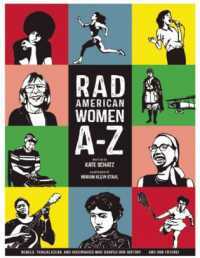 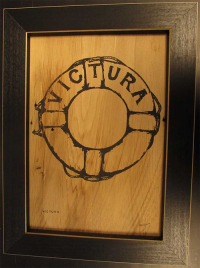 She is most known for her folk art style that uses her signature black border with whimsical sayings.